There are a few areas where I tend to keep an eye open for my next purchase. Notebooks. Pens. Bags. There are so. many. good. bags out there! One recent item I picked up has been fantastic: the Lanier briefcase and pouch from Nock. I’ve had my eye on this for a long time and finally picked one up after my birthday this fall. It’s a high-quality item that I wanted to recommend. If you’re not familiar with Nock, it’s the business of Brad Dowdy, formerly of Jet Pens and mastermind of the Pen Addict blog and podcast. There are two things I appreciate about Brad: he really cares about pen and paper tools and he believes in making things locally. So when you purchase a Nock product, you’re not buying a nicely designed item that is put together by low paid workers in China. Instead, you can enjoy your purchase knowing it was assembled and manufactured right in the US. And they use high quality materials. So the Lanier itself. It’s the second item I’ve purchased from Nock (the first being the Hightower). I had my eye on it more because of the pouch than the briefcase. As a consistent user of notebooks, I’ve wanted something to carry my notebook along with the various Muji pens I use. I don’t like carrying a notebook around with a pen in hand as I’m always worried I’ll lose the pen. 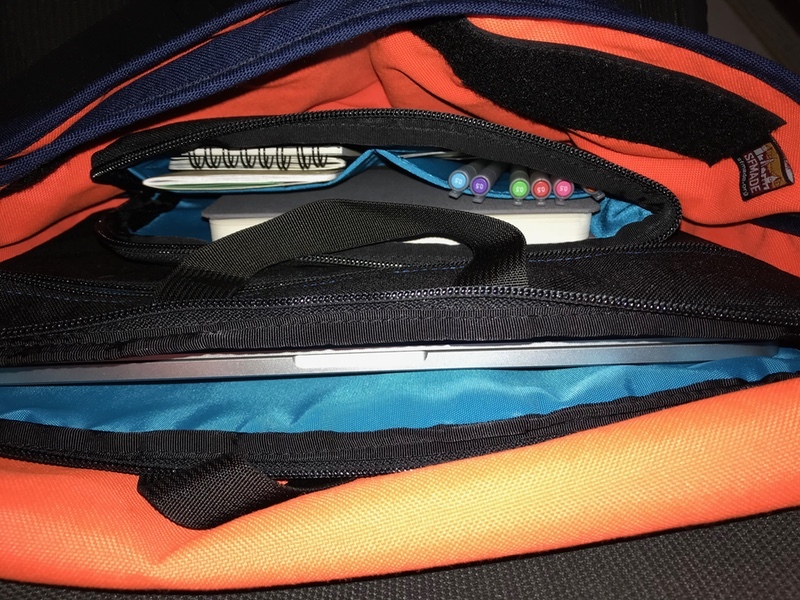 The Lanier is a great solution to this as my notebook is always ready to take with me. I keep it along with a .38mm black or blue Muji, several colored Muji gel pens, my passport, business cards, my AirPods, and a small notepad all in the pouch. If I want to go out and leave the laptop behind, I just grab the small pouch. If I need to work from a café, I take the entire Lanier with me, laptop included, and the pouch sits nicely alongside it in my bag. Since I’m (currently) using a smaller messenger bag with very few pockets, the Lanier gives me a nice way to organize my stuff. 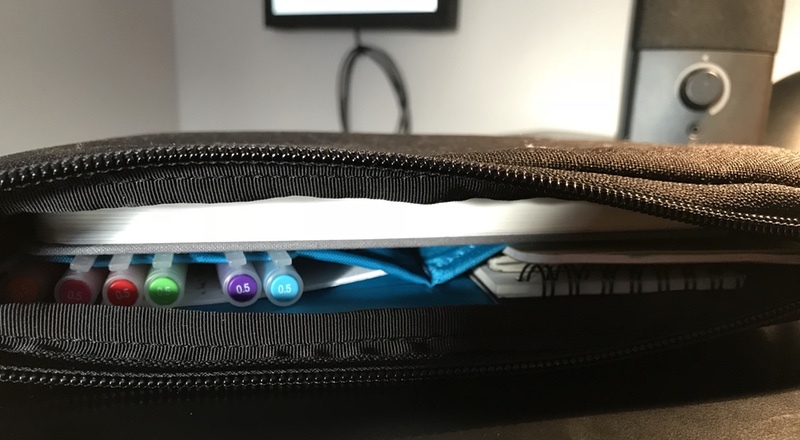 When I’m at a meeting or a café, I can quickly pull out the pouch itself without disturbing the stuff in my bag or digging through pockets to get what I need. So the usability, along with the nice fit & finish, make this an item I’d recommend for anyone who has this type of need.